Need some quick, easy chicken recipes you can whip up any day of the week with little prep time? Chicken is versatile and works well in different casseroles. And, while the recipes below are simple to make, they'll still make your mouth water. 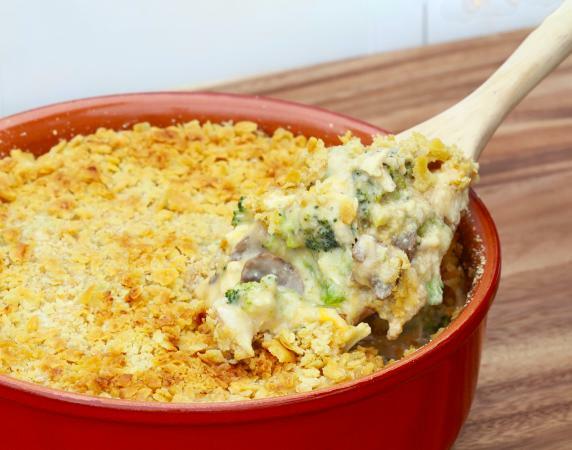 Kids and adults alike will beg for seconds when you serve this tasty chicken, mushroom, and broccoli casserole. It's packed with protein and veggies, curbs your appetite, and keeps you toasty warm on cold nights. Combine all ingredients (except crackers) in large bowl. Bake mixture (uncovered) at 375 degrees F for 30 minutes. Remove from oven, and sprinkle cracker crumbles on top of casserole. Bake an additional 10 minutes, or until crackers turn golden brown. 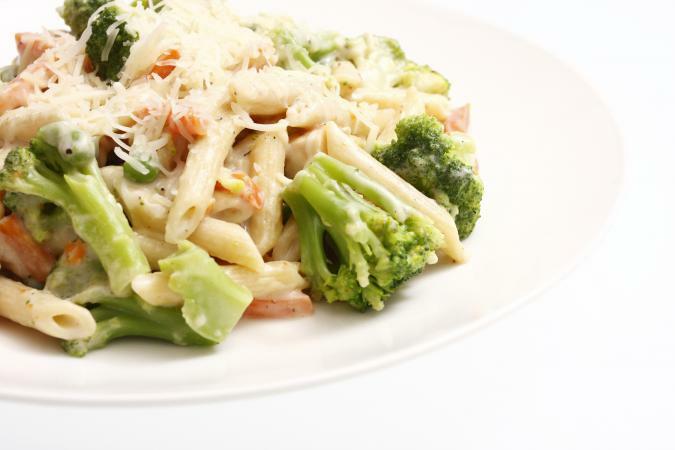 Looking for a simple chicken and pasta casserole recipe loaded with flavor? 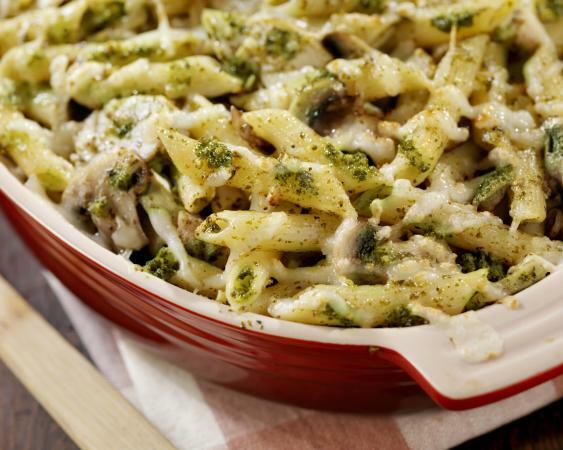 Chicken pesto penne bake is easy to whip up for any occasion and is sure to be a hit with dinner guests. Prepare pasta according to instructions until it is al dente. Drain pasta and toss with 1 tablespoon of olive oil. Combine pasta with all other ingredients (except shredded Parmesan cheese) in large bowl and stir. Place pasta mixture in a glass baking dish. Bake in the oven for 30 minutes or until cheese is golden brown. Pour pasta in a greased casserole dish and top with soup and milk. Stir in broccoli and carrots. With just seven ingredients, this simple dish won't let you down when you're in the mood for Mexican food. Boil chicken, debone, and skin. In a medium-sized bowl, mix soups, tomatoes, and green chiles together. Place ingredients in layers in a large baking dish, starting with chips, then chicken, then chopped onions, then soup mixture. Sprinkle black olives over the top of the casserole. Slice cheese into pieces and place on top of soup mixture. Continue layering until ending with cheese. 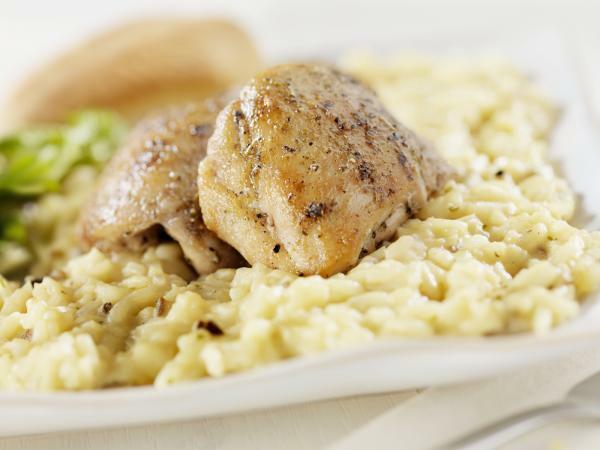 If you love chicken and rice together but are looking to change things up a bit in the kitchen, try this simple recipe. Place condensed soup in a 2-quart baking dish. Stir in rice, water, paprika, and black pepper until thoroughly mixed. Season with additional paprika and black pepper. Cover baking dish with aluminum foil. Bake for approximately 45 minutes or until the chicken is cooked through and the rice is tender. Grilled chicken breast is one of the best sources of lean protein you'll find, so adding it to casseroles just makes sense. 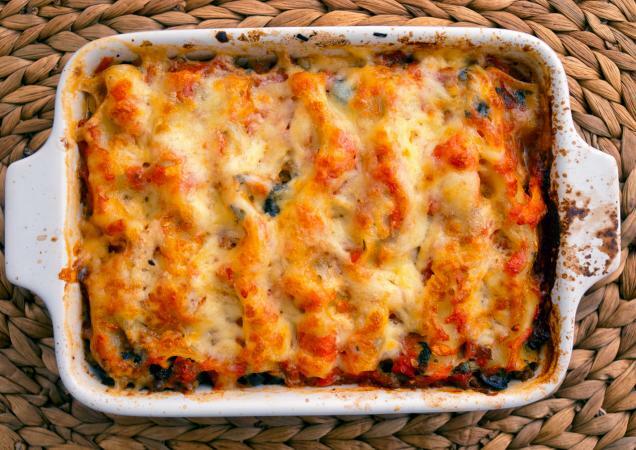 Regardless of the occasion you're cooking for, choose casseroles as a satisfying way to fill you up, use up leftovers, and supply you with all the main food groups in one dish.